Mechanical pencils offer precision and economy in one simple design. 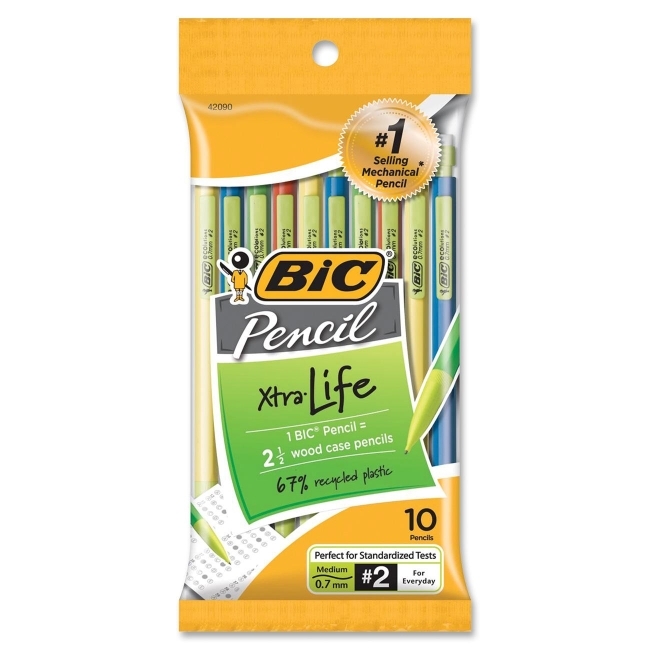 Each mechanical pencil provides write-out equivalent to 2-1/2 wood-case pencils. Shatter-resistant and splinter-resistant design includes a top advance; medium, 0.7mm point; and handy clip to attach pencil to notebooks and more. Mechanical pencils are made with a high percentage of recycled content. 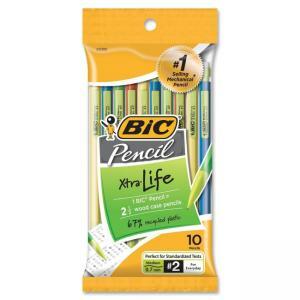 Mechanical pencils are certified by Scantron.